Across The Narva covers the first three months of the Narva Bridgehead campaign and utilizes the same system of command activation chit-pull and base rules as in Konigsberg: The Soviet Attack on East Prussia, 1945, also by Revolution Games. 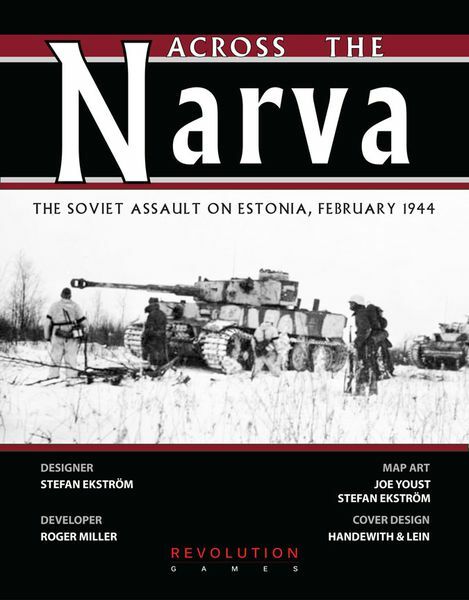 Across The Narva is a reimplementation of Army Group Narwa, previously published by Three Crown Game Productions. This game comes in a ziplock bag.